Without any loud promotions General Motors has launched the facelift version of its saloon sedan Cruze in Indian car market with various interesting tweets including various safety measures and changes which are designed to enhance its looks. Launched in three variants namely LT MT, LTZ MT and LTZ AT with price of base variant starting with price tag of Rs. 13.70 lakh (ex-showroom price in New Delhi). 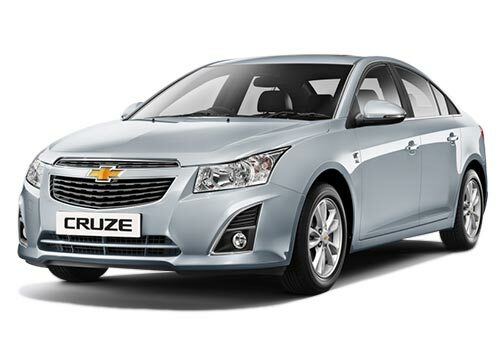 The refreshed version of Cruze continues the same engine configuration of 2.0 litre, 4 cylinder VCDi diesel engine churning the power of 162bhp and torque of 380 Nm, engine is coated with six speed manual transmission system followed by six speed automatic transmission system. The cosmetic changes introduced in the facelift Cruze includes four airbags, newly designed front grille and front air dam, turn indicators on ORVMs, newly designed plastic coated D shaped fog lamps and few more. Apart from these updates offered in the exteriors, changes offered in interiors of existing Cruze include infotainment system, leather covered gear shift knob and steering wheel, HVAC control system and few more. 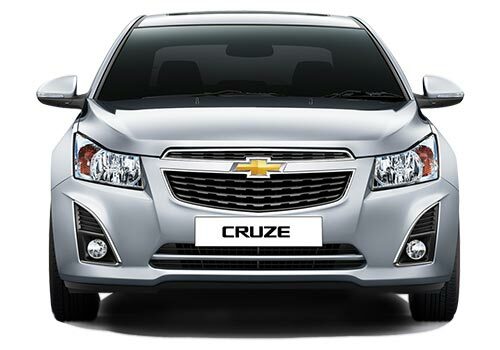 Click here to know more about features offered in Chevrolet Cruze.